I like looking at paintings, and other works of art. 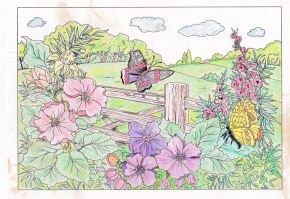 I admire people who has the talent to wield a brush, or a pencil, or other drawing implements, and make something magical on canvass or on paper, tremendously. 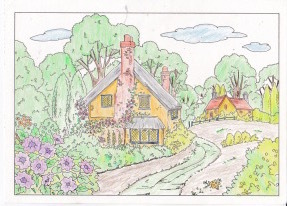 Since I don’t have the talent for that, I was happy to discover these books to color, instead! 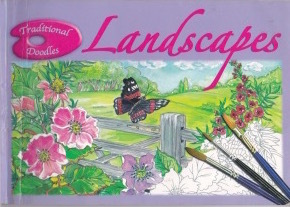 I was introduced to this by a very artistic friend, and discovered that it is a great stress reliever, aside from being a very relaxing hobby! 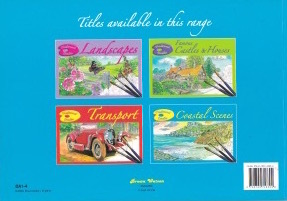 The first one I bought was the Landscapes Traditional Doodles, then the Transport, which I gave to a nephew of my husband as I’m not into vehicles, and then I found the two others, afterwards. 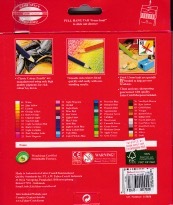 They cost, at that time, Php 169.00 each. 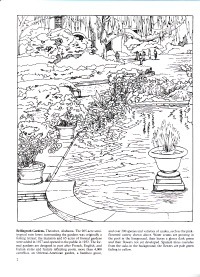 I’m not sure if National Bookstore still have these Traditional Doodles, as I bought these books several years ago in National Bookstore Quezon Avenue, but I found out that there are available ones online when I Googled. 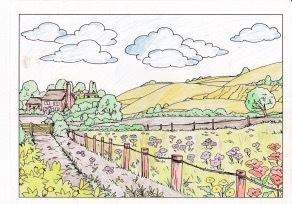 I was very much into it for a while, finishing several pages of the Landscapes. However, I stopped due to my busy schedule at work then, and eventually, because I got hooked on Be Careful With My Heart, which became my new stress reliever! 🙂 Here are some of what I have finished before! 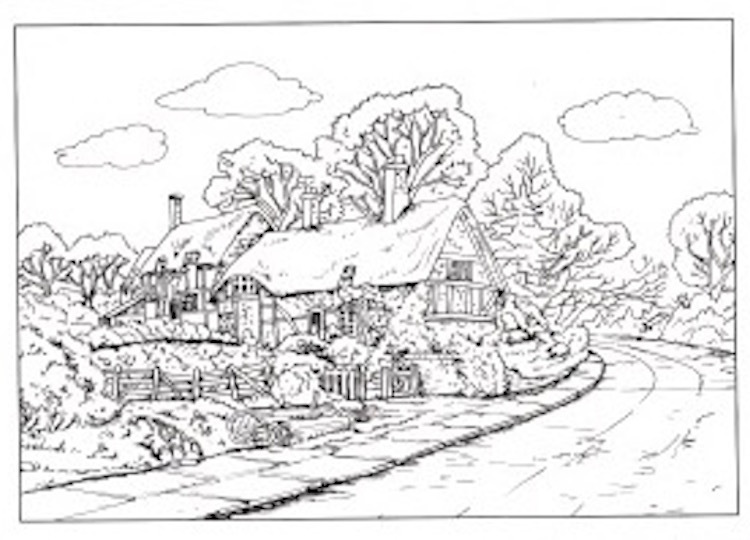 The friend who told me about this also taught me some basic shading techniques, but still I have a lot to learn! 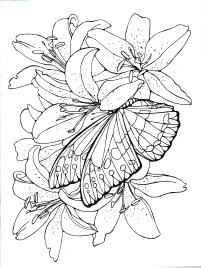 I’m also partial to violet, lilac, and purple so you will see a lot of those in my work! 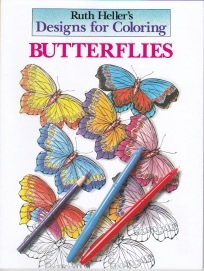 Recently, while browsing through the shelves of Fully Booked in Bonifacio Global City, I found this Butterflies book, and thought of taking up ‘doodle art’ again. 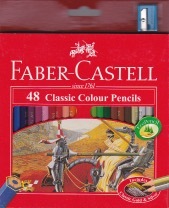 I bought a new set of Faber Castell Colour Pencils, as my daughter went through my other sets! 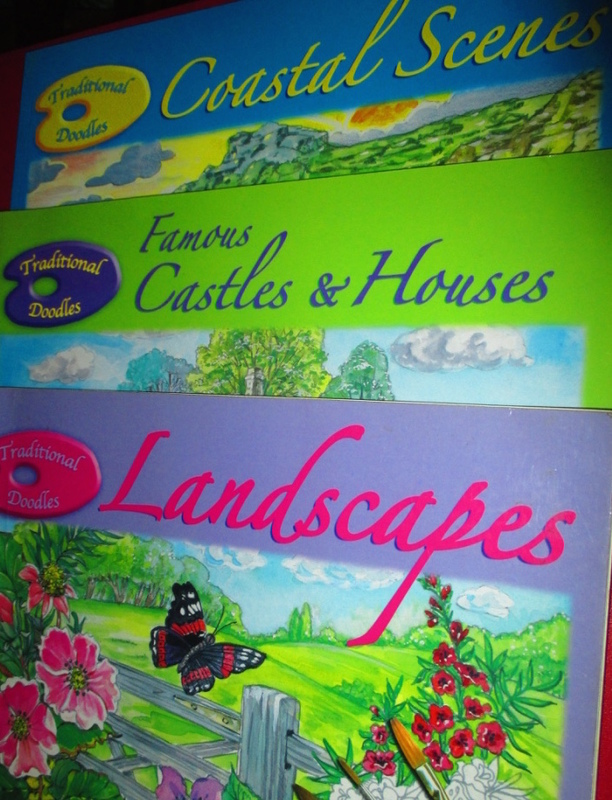 So far, I have the following books to finish at leisure, aside from the Butterflies, which has 31 pages. I forgot how much this one cost, but it was more than Php 200.00. 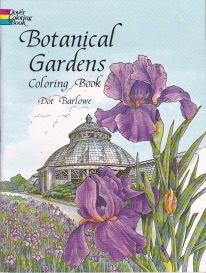 The Botanical Gardens has 41 pages of beautiful gardens to color. I found it at C & E Bookshop along Quezon Avenue in 2013 for Php 235.60 with a 5% discount! 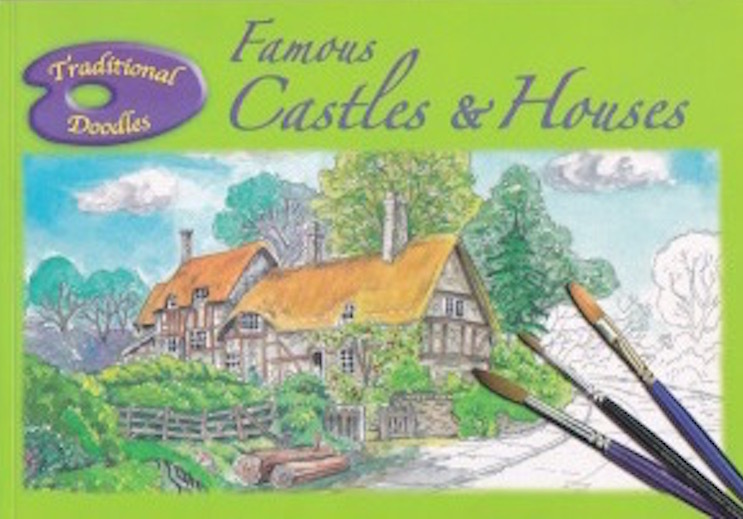 The Famous Castles & Houses has 23 pages, and the Landscapes has nine pages left. No worries, promise, I will only do this while thinking of new chapters for my current stories or new stories to write. 🙂 I do other things, actually, like reading books and magazines, walking around, going online, and watching the BCWMH DVDs, while thinking of what I want to write next or how to move along a chapter. 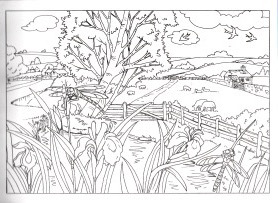 Coloring page after page of these books will do as well to help the creative juices flowing! This entry was posted on July 4, 2015, 12:22 PM and is filed under Interests, Things. You can follow any responses to this entry through RSS 2.0. You can leave a response, or trackback from your own site. 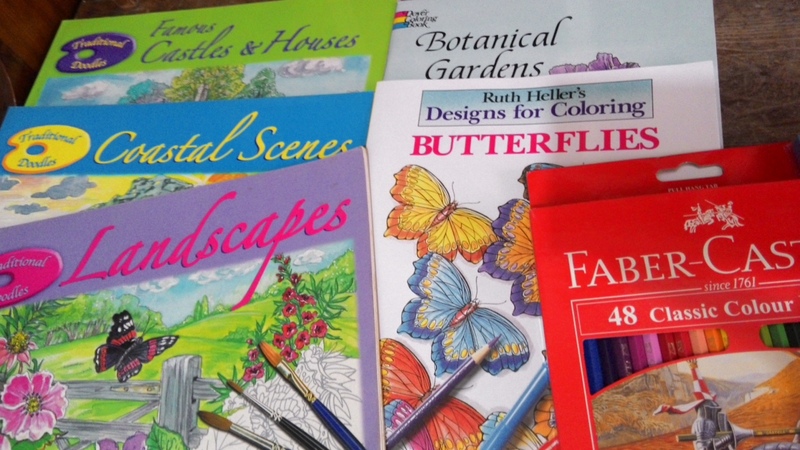 Never thought na merong mga coloring books for adults ….Thanks Ms A my next day off eh maghahanap ako that would also be a good bonding moments that I could do with my grandkids !!!!! Ang ganda ng kinalabasan nung nakaframe na siya. Thank u A for always sharing your hobbies. Ang galing mong humanap ng diversions to kill time and magrelax ng sandali and away from the pressure ng work everyday. 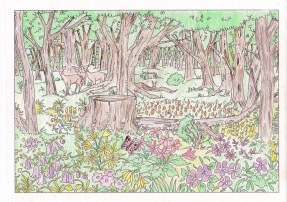 Your colorings are good and nice. Yung mga kulay na ginamit mo were cool sa eyes – pastels. 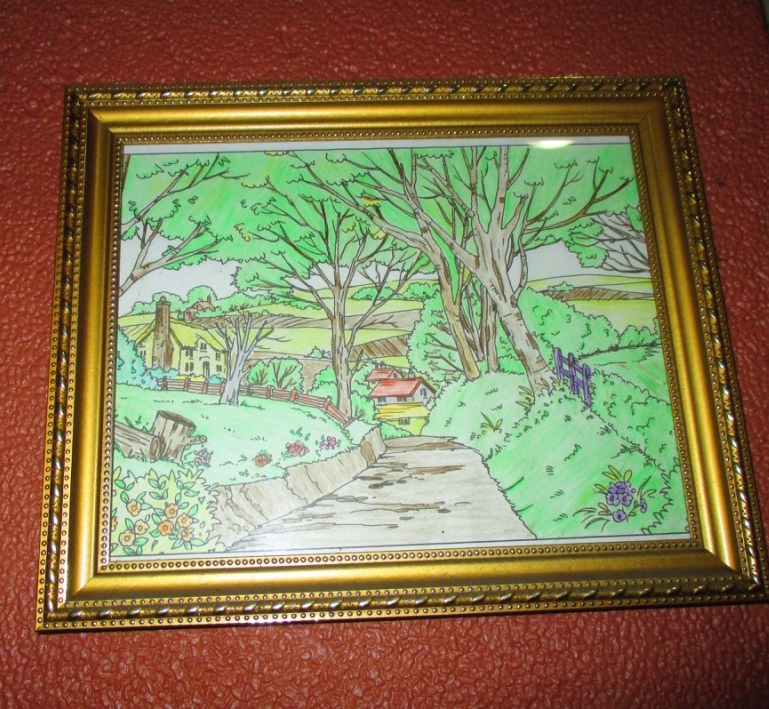 Talagang art inclined ka ha – writing, nature explores at may colorings pa – wow na wow! Take care.